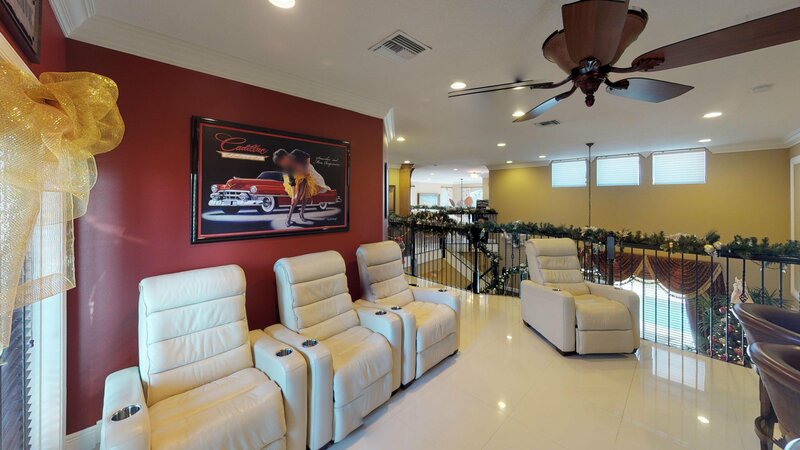 Just Reduced $10,000... 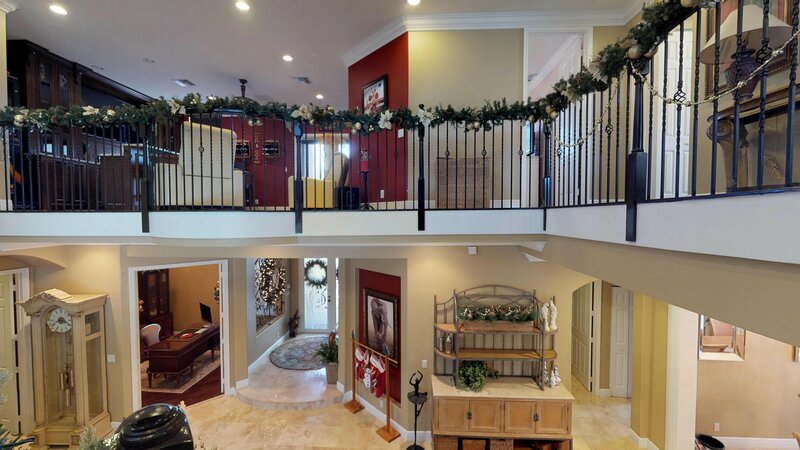 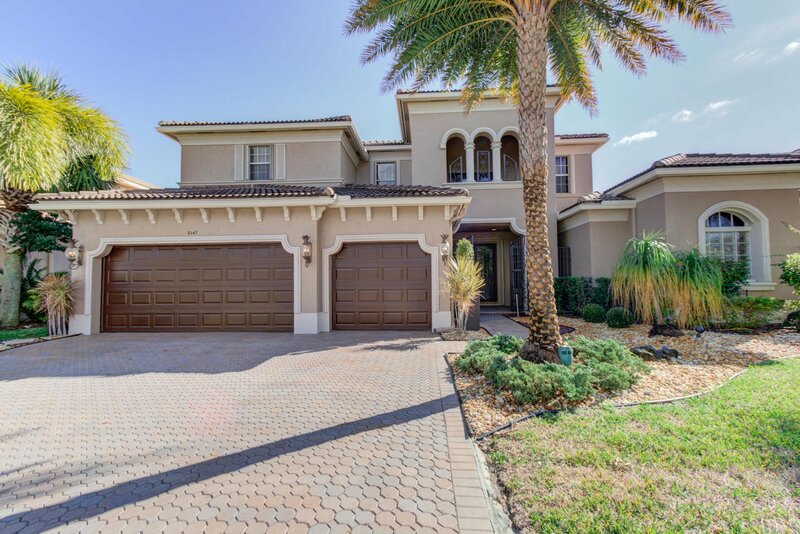 This Stunning Two Story Estate Home in Country Cove Estates has 5 bedrooms & a den, 4 full baths, and 3 car garage, it is a must see. 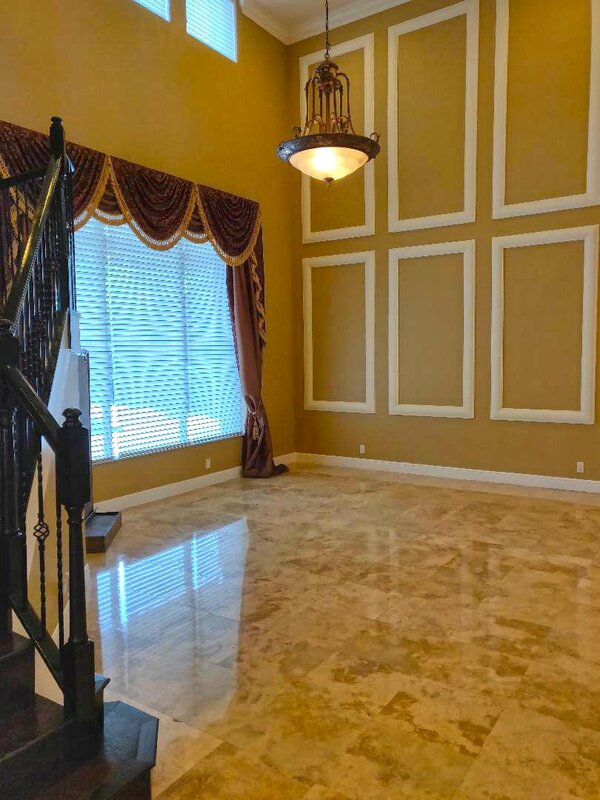 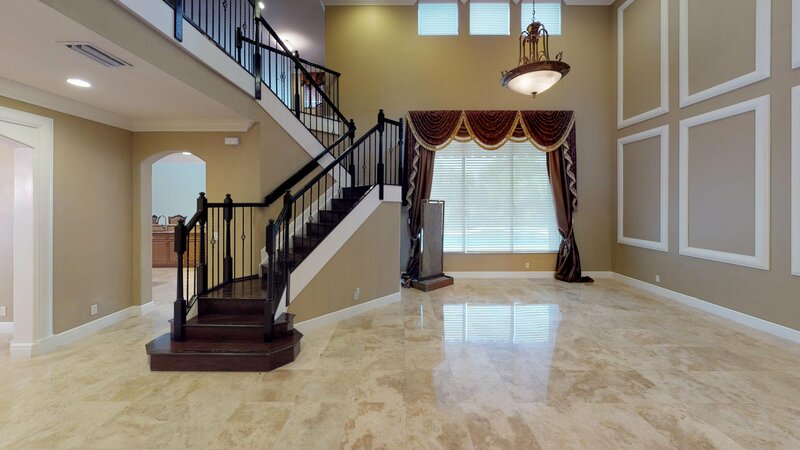 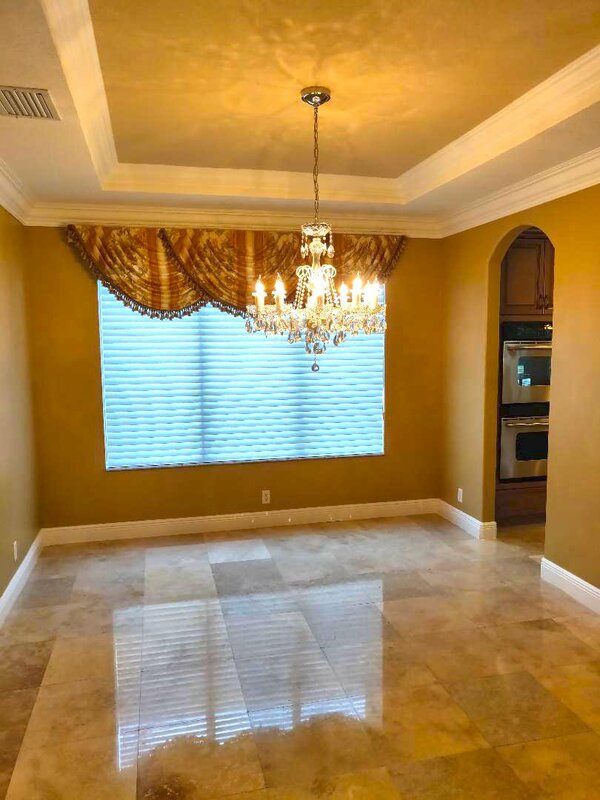 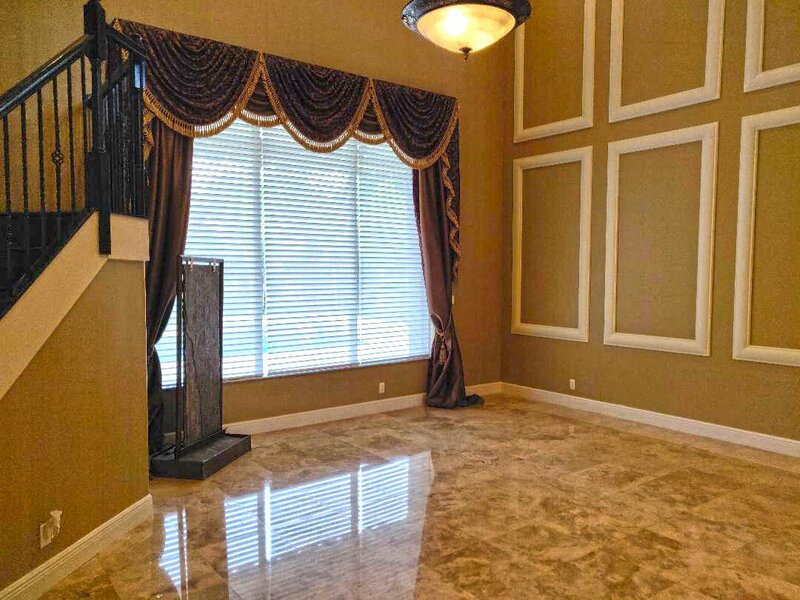 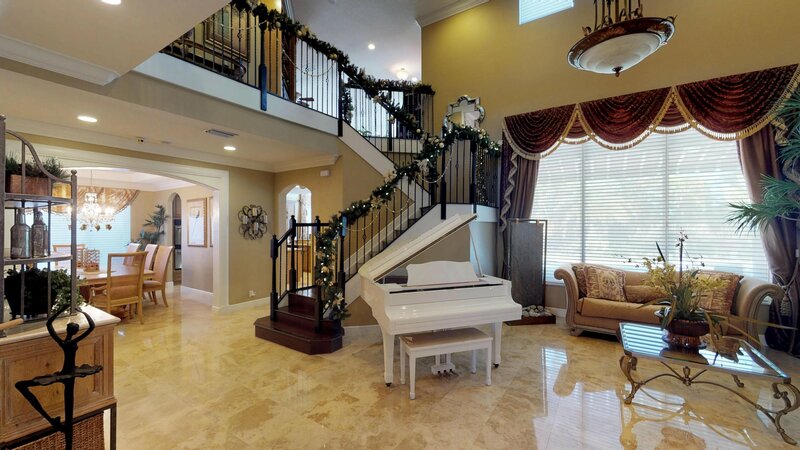 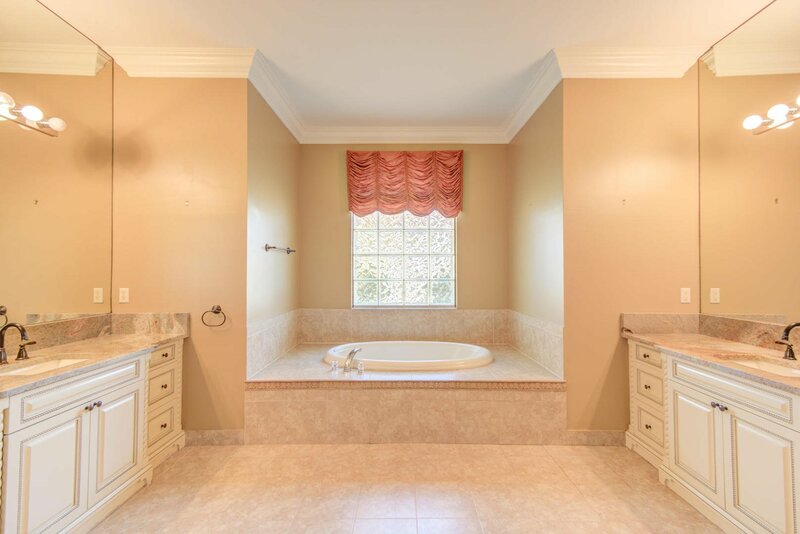 Travertine Marble floors and large crown molding throughout, blinds on all windows, and accordion hurricane shutters. 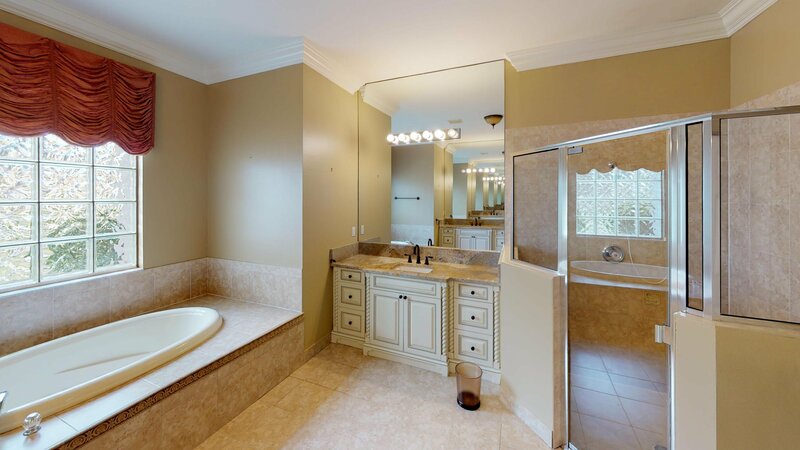 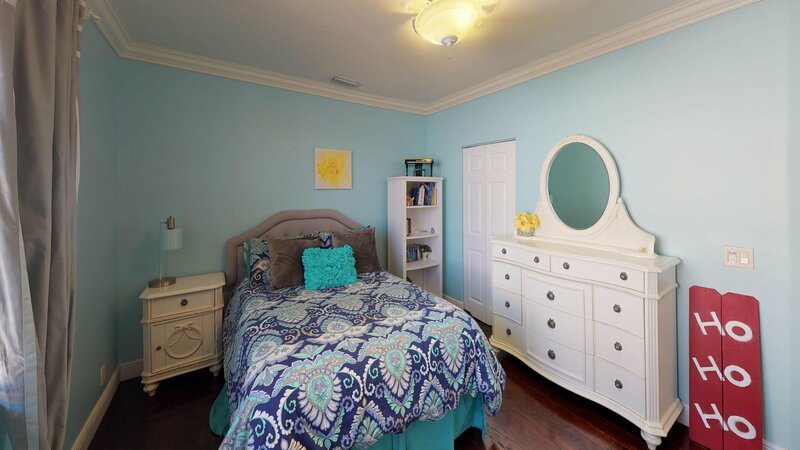 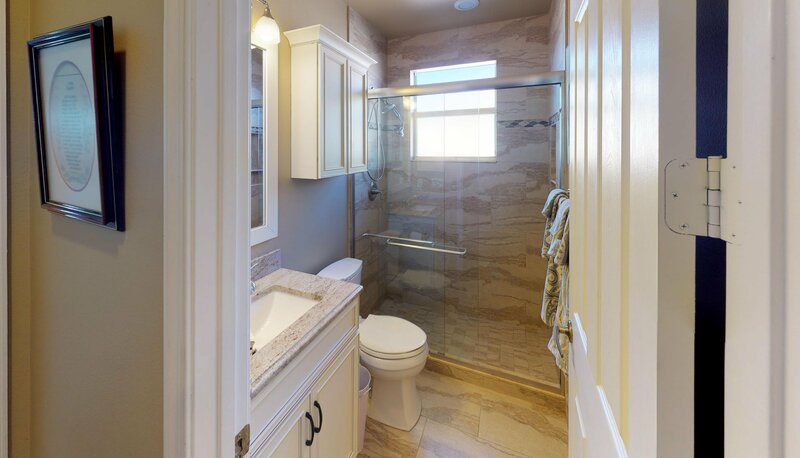 Main floor master suite with upgraded vanities and built in closet shelving. 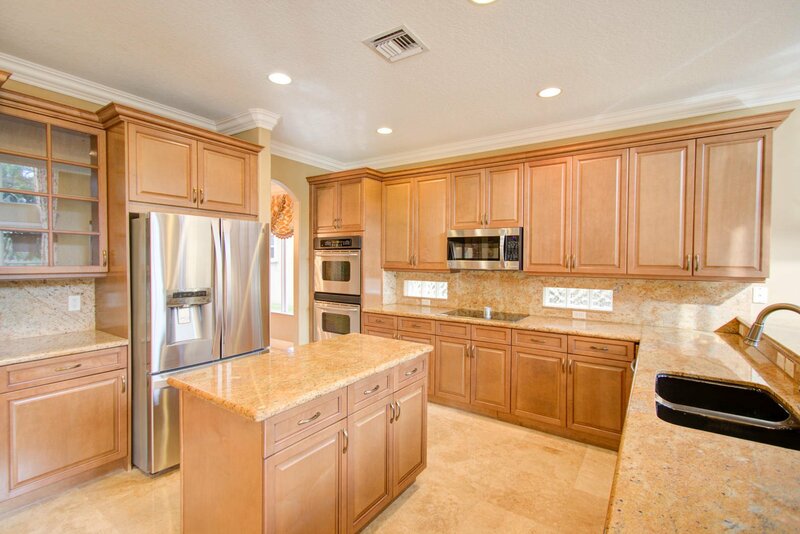 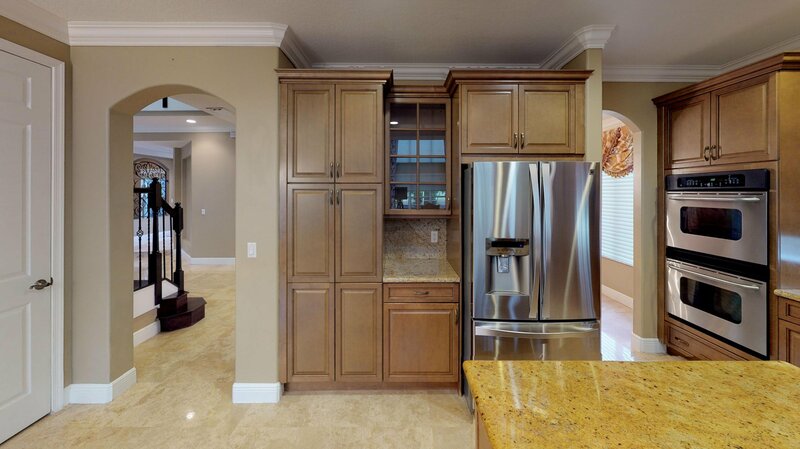 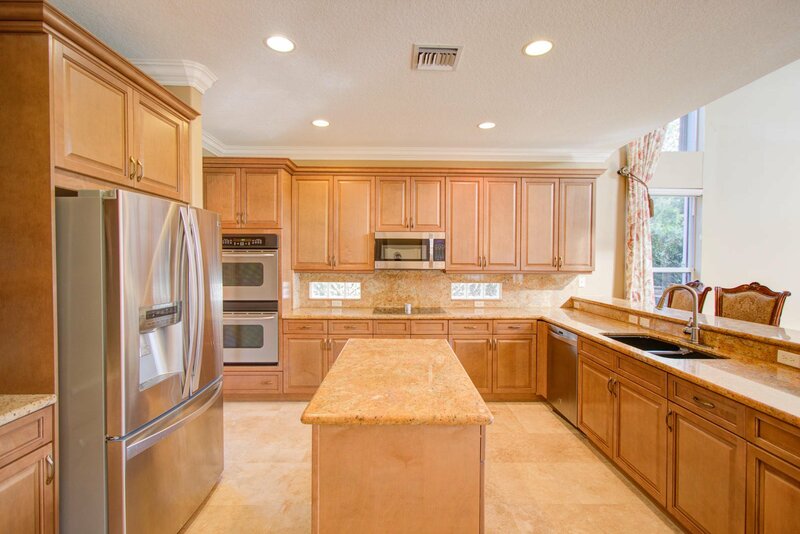 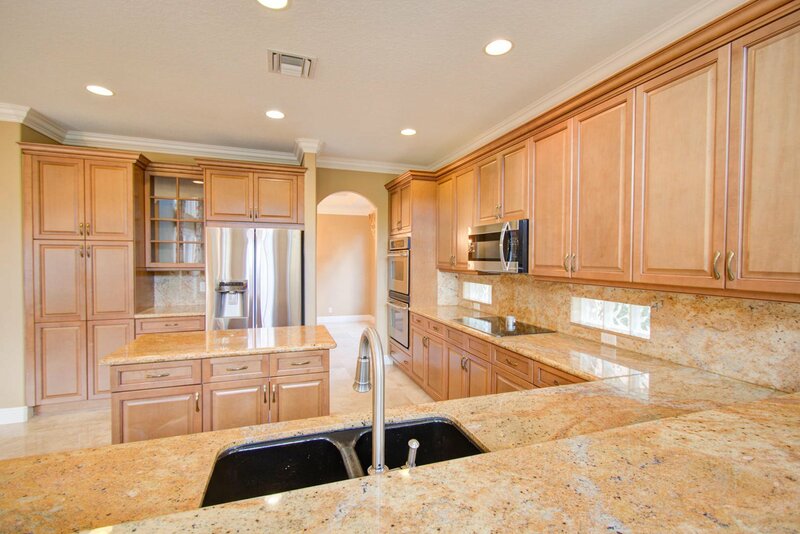 Kitchen offers double oven, convection stove and bottom freezer refrigerator. 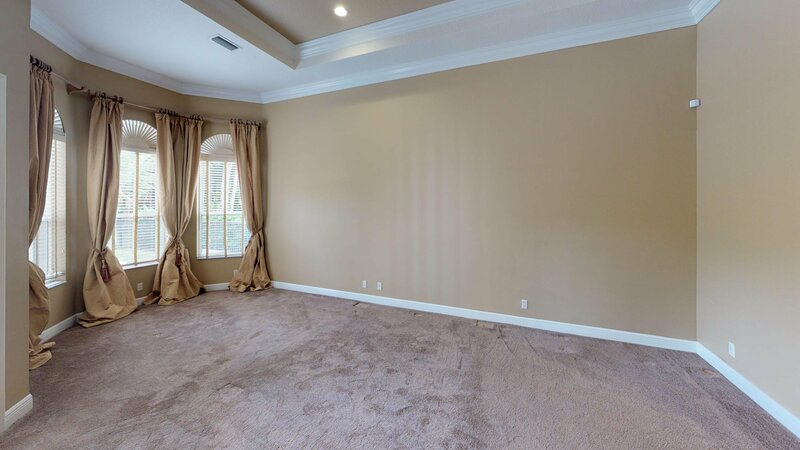 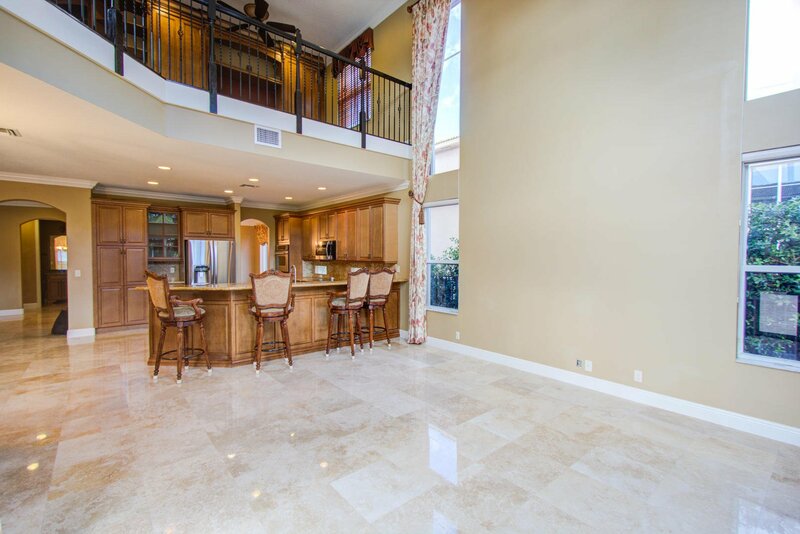 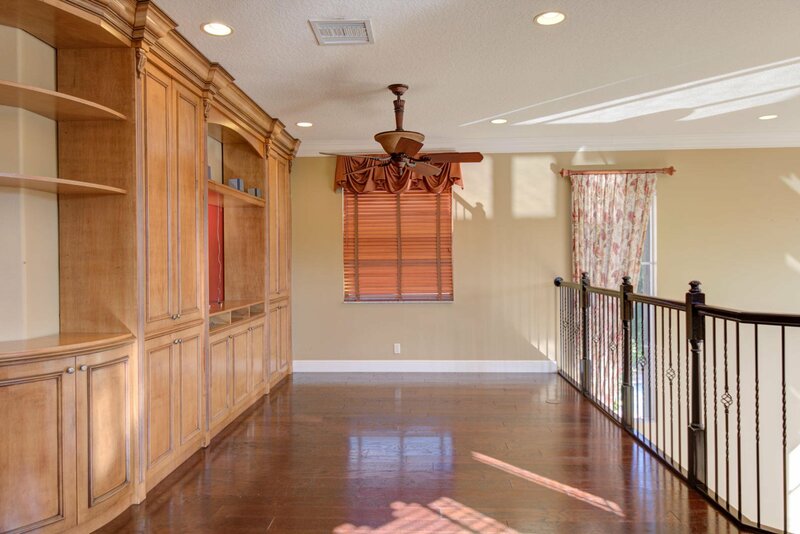 Spacious family room with double door entrance to pool area. 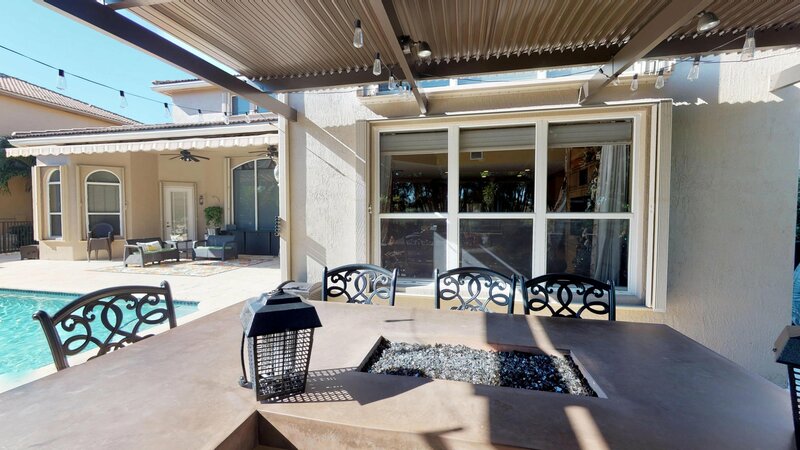 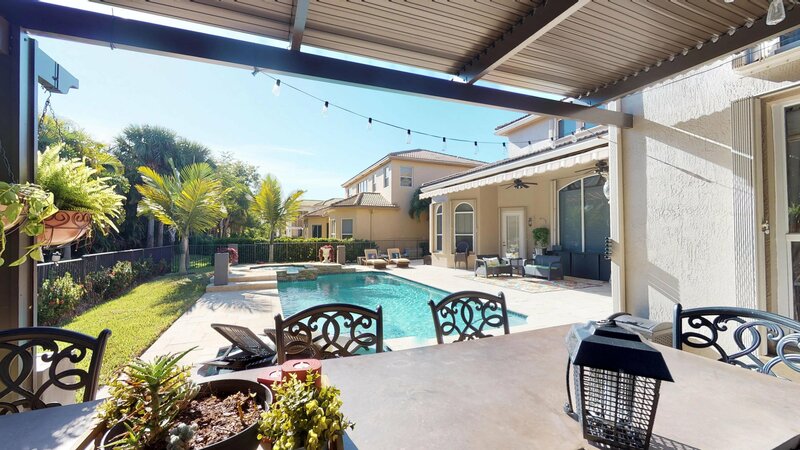 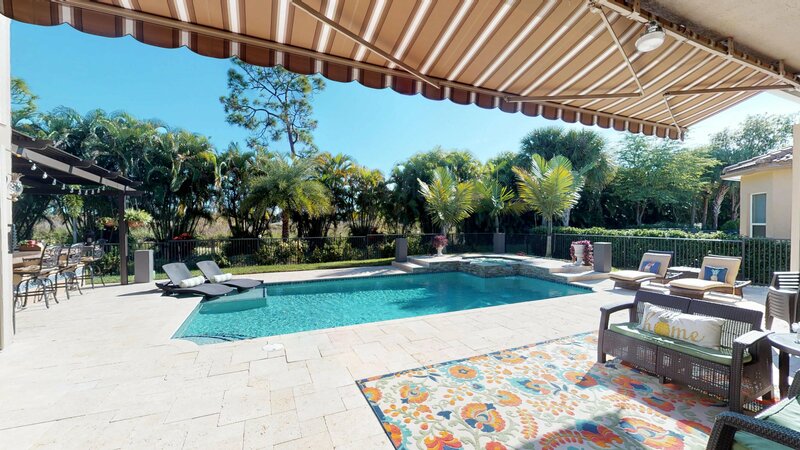 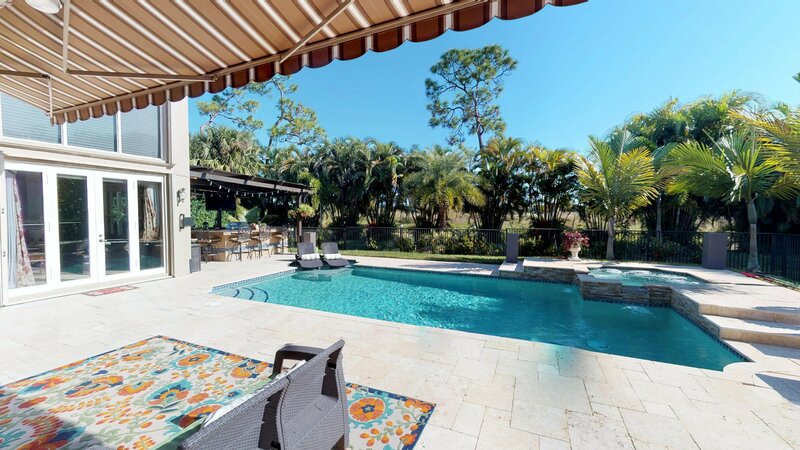 The pool area has extra living space with tumbled travertine deck and summer kitchen and a rinse off shower. 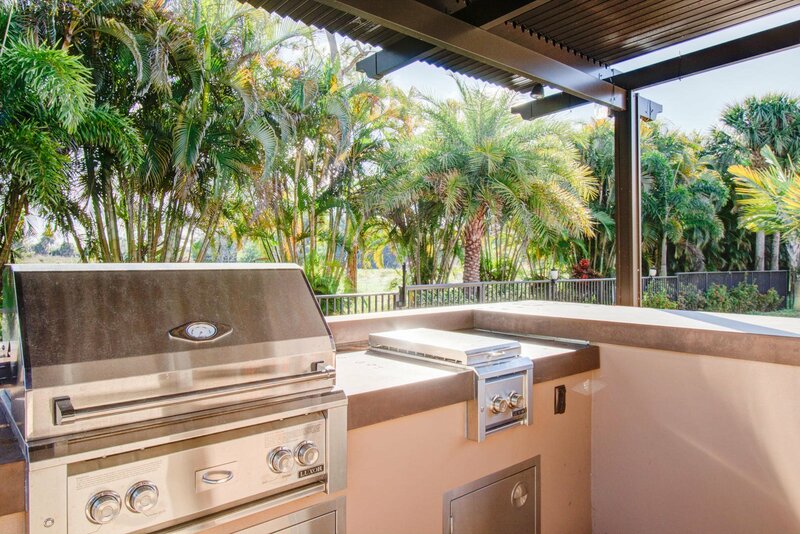 The summer kitchen has a gas grill and fire pit all fueled by a 250G propane tank maintained by a gas company. 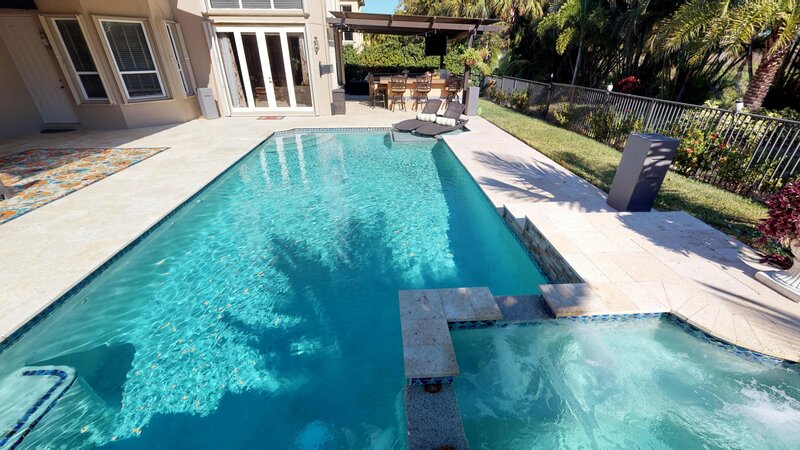 The pool has a built-in cleaning system, salt chlorination and propane heater. 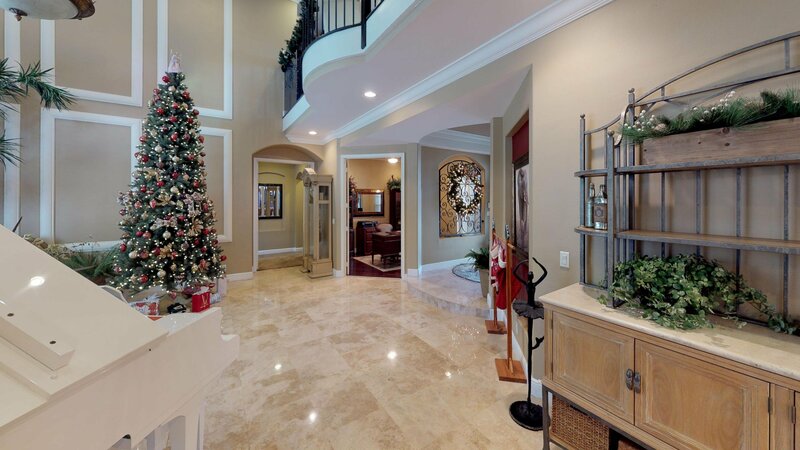 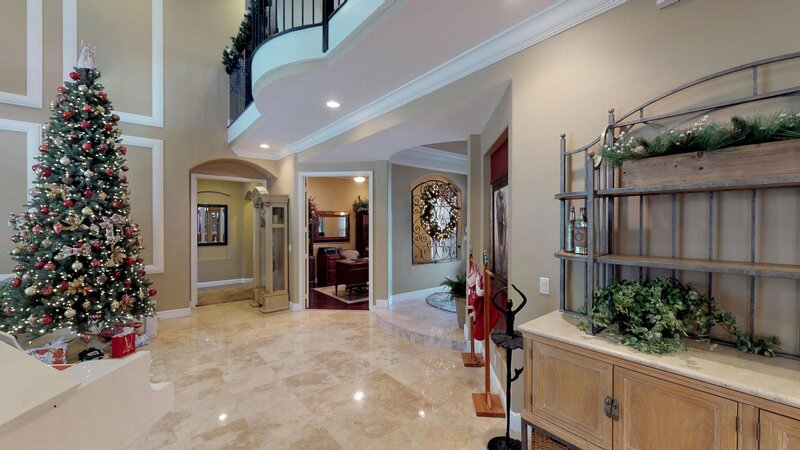 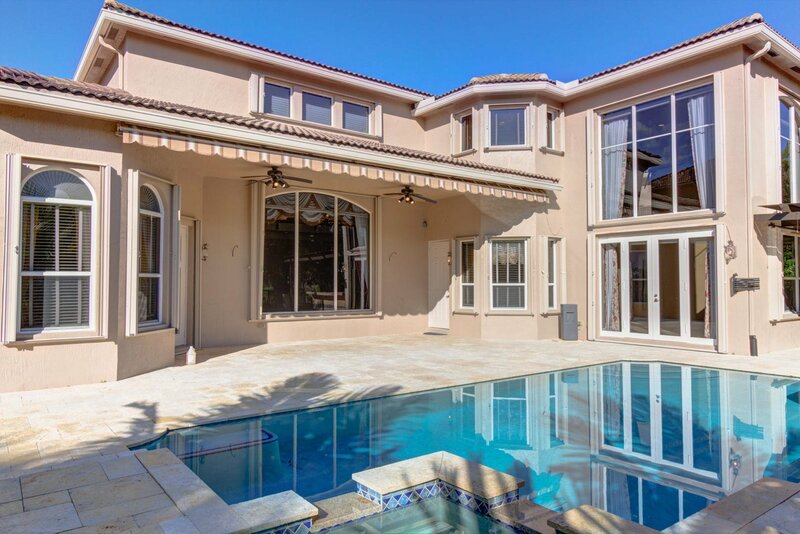 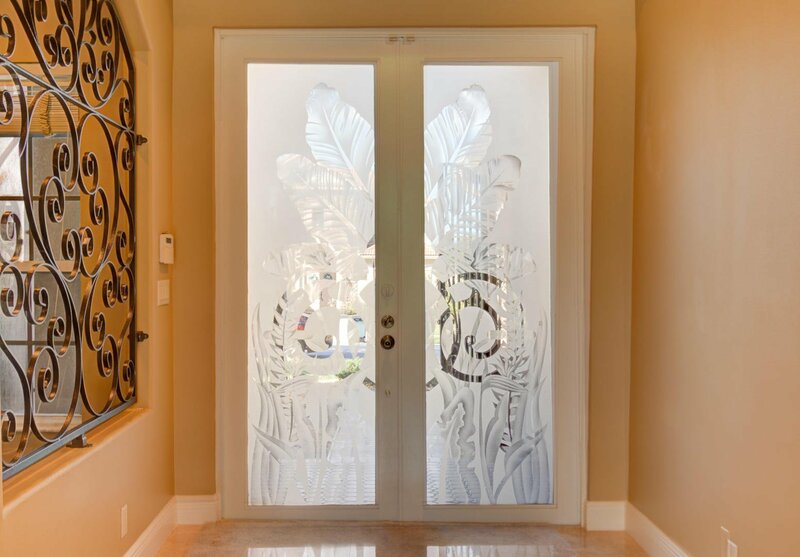 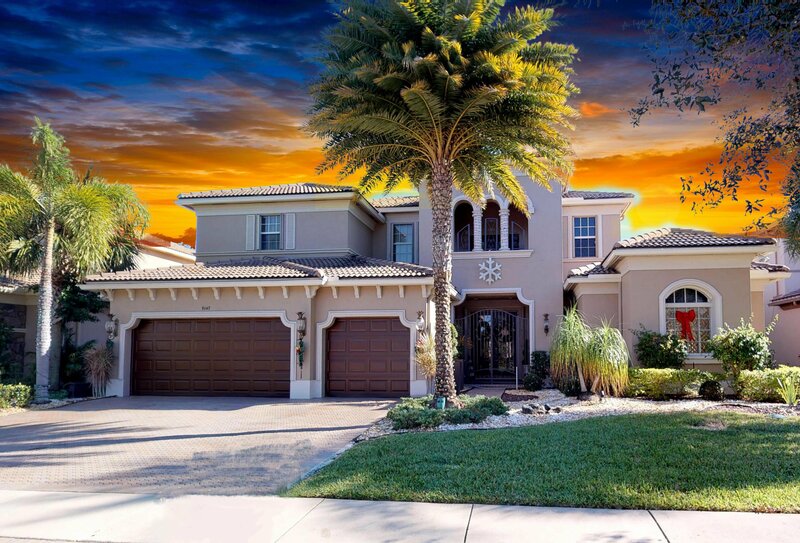 Stunning Estate Home Inside of Country Cove Estates,with 5 bedroom, 4 bath, and 3 car garage this home is a must see. 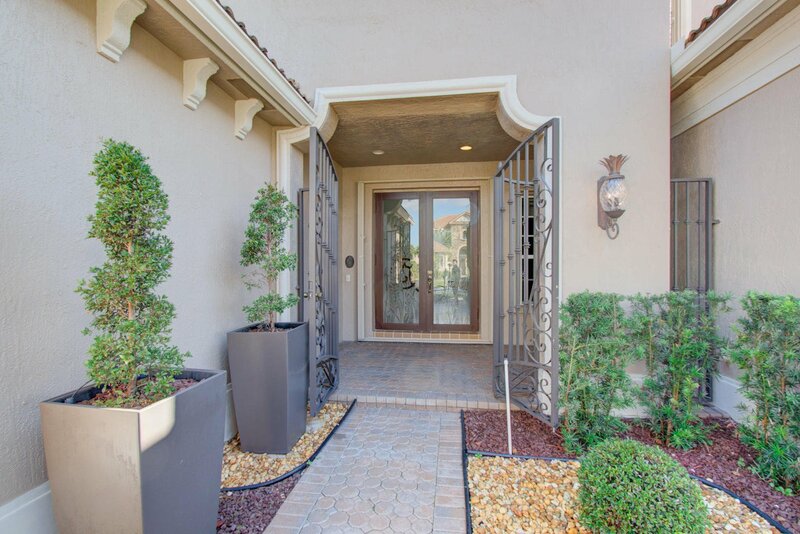 Front landscaping offers easy maintenance, timer activated landscape lights and wrought iron front gates. 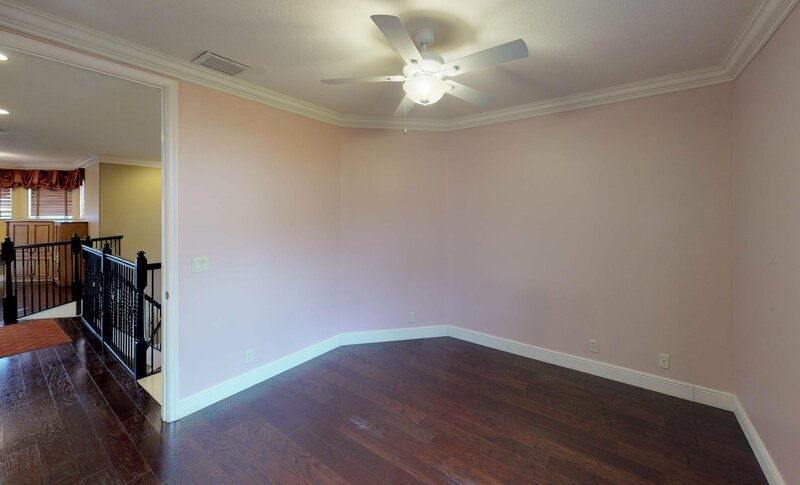 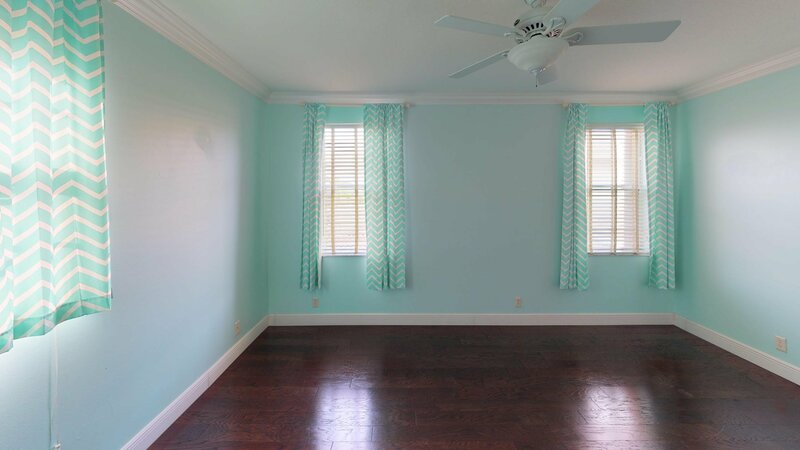 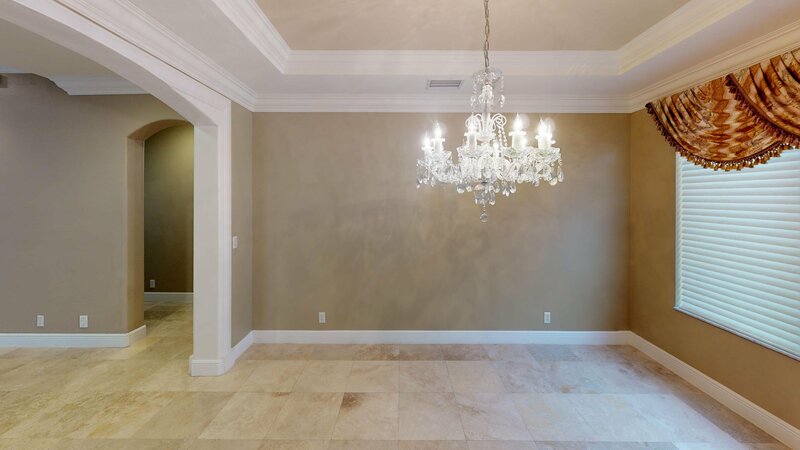 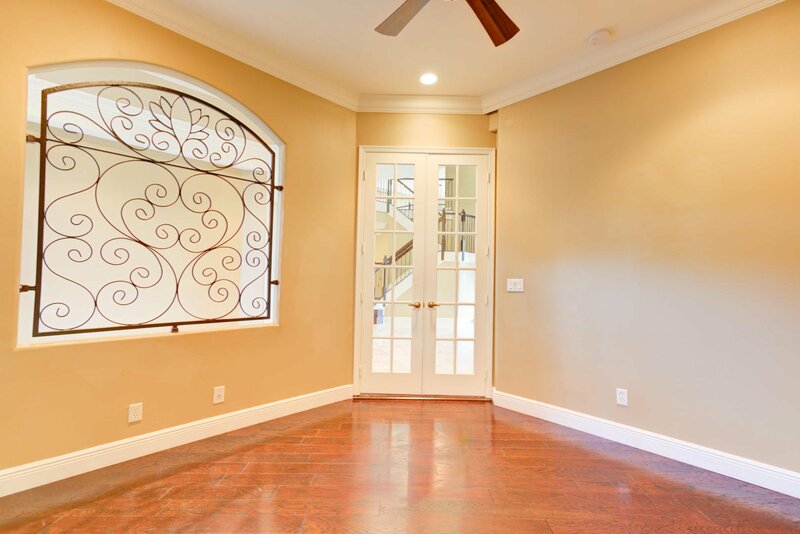 Travertine floors and crown molding throughout, blinds on all windows, and accordion hurricane shutters. 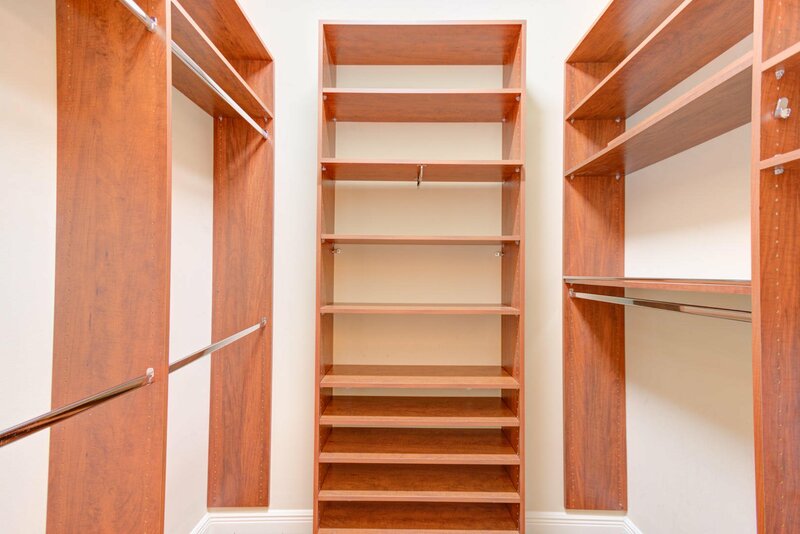 Main floor master suite with upgraded vanities and built in closet shelving. 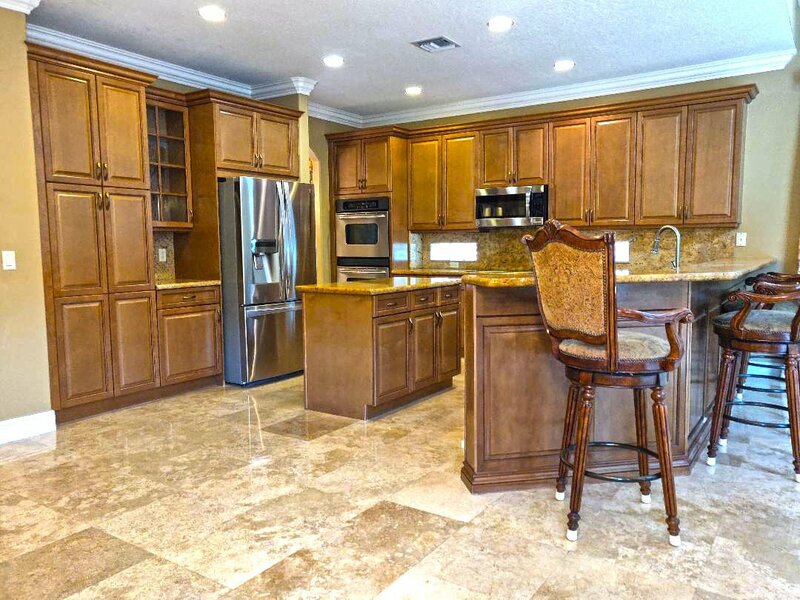 Kitchen offers double oven, convection stove and bottom freezer refrigerator. 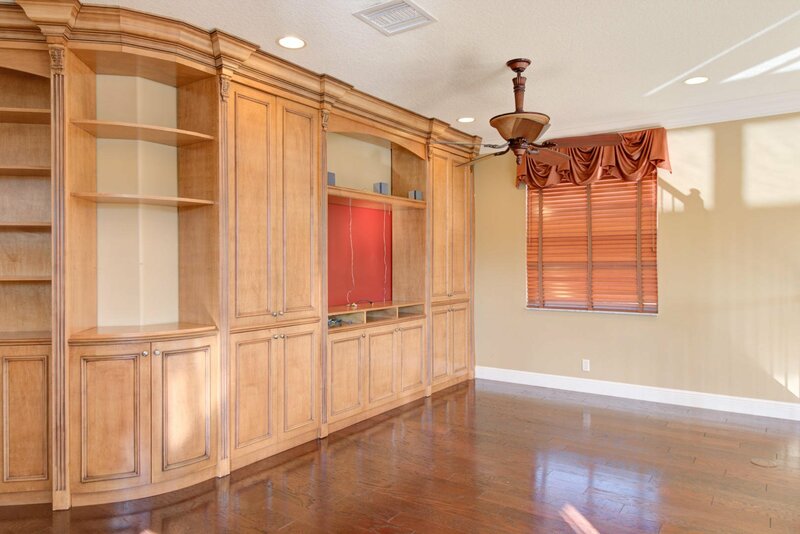 Spacious family room with double door entrance to pool area. 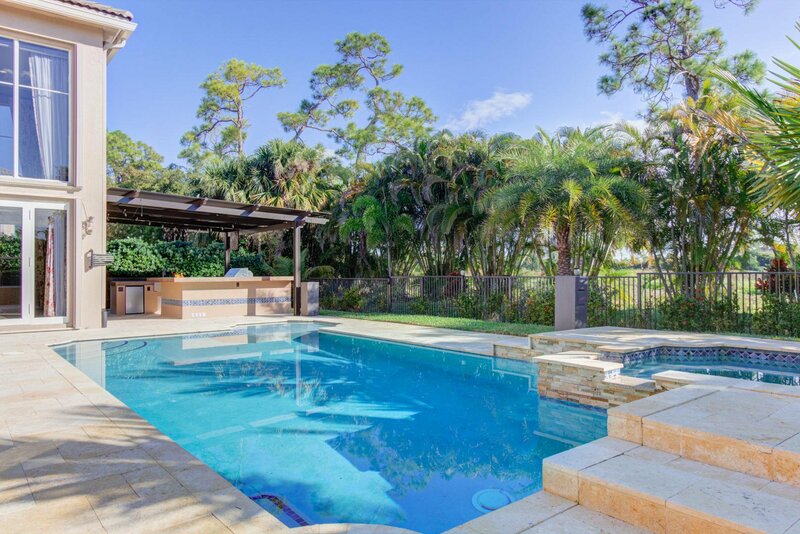 The pool area has extra living space with tumbled travertine deck and summer kitchen and a rinse off shower. 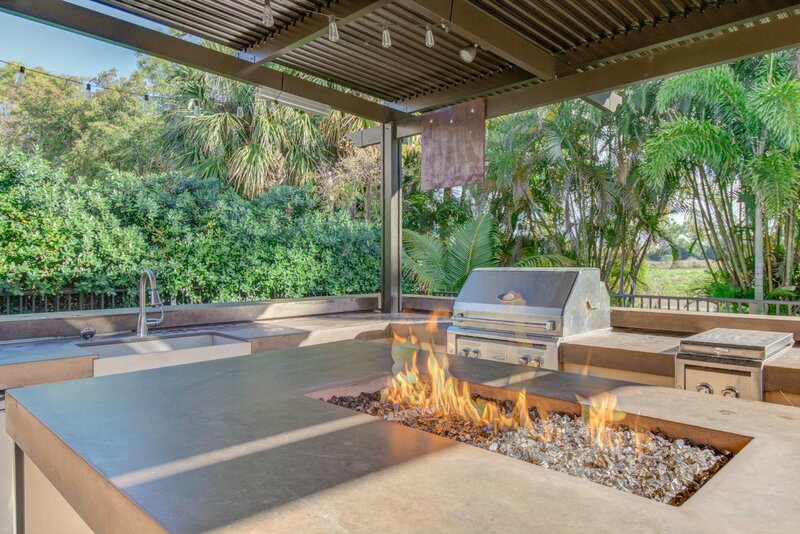 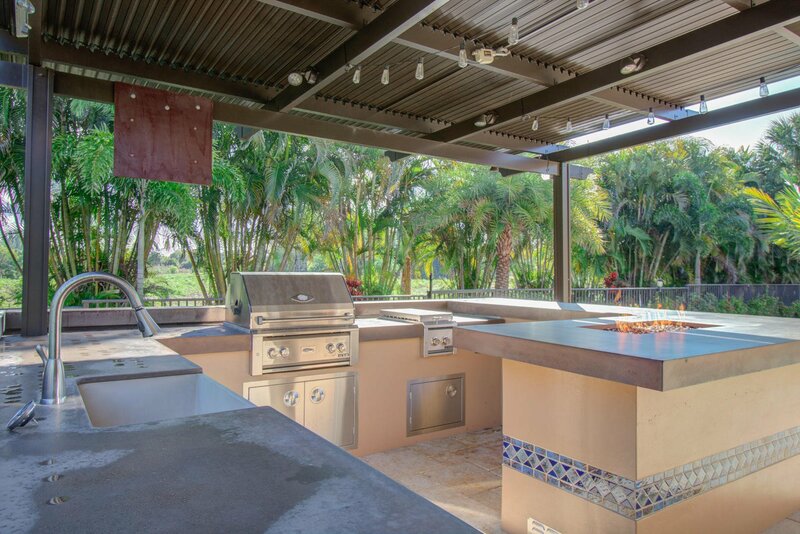 The summer kitchen has a gas grill and fire pit all gassed by a permanent propane tank maintained by a gas company. 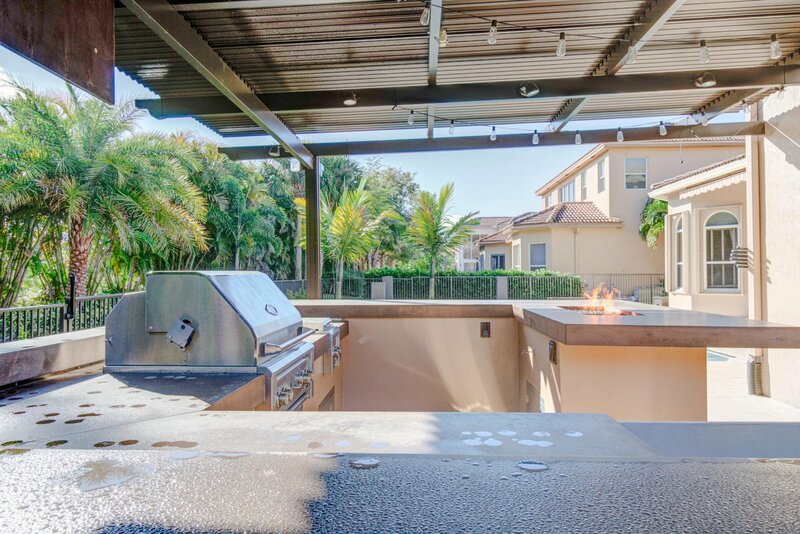 The pool has a built-in cleaning system, salt chlorinator and propane heater that requires little maintenance. 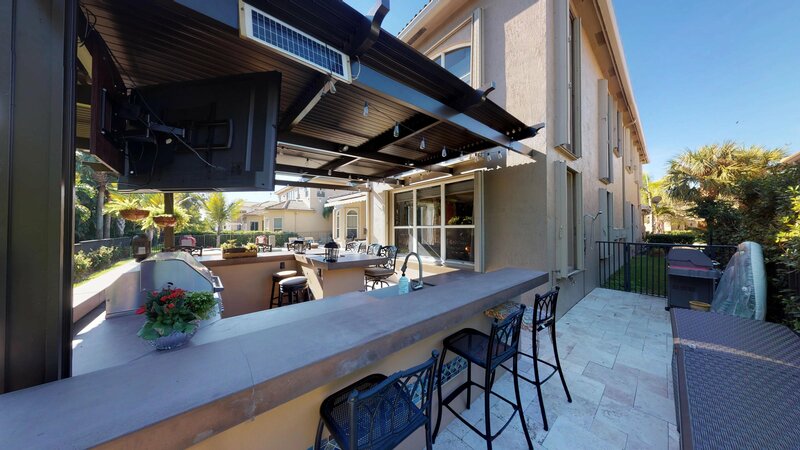 A large retractable awning allows for gathering even in the rain! 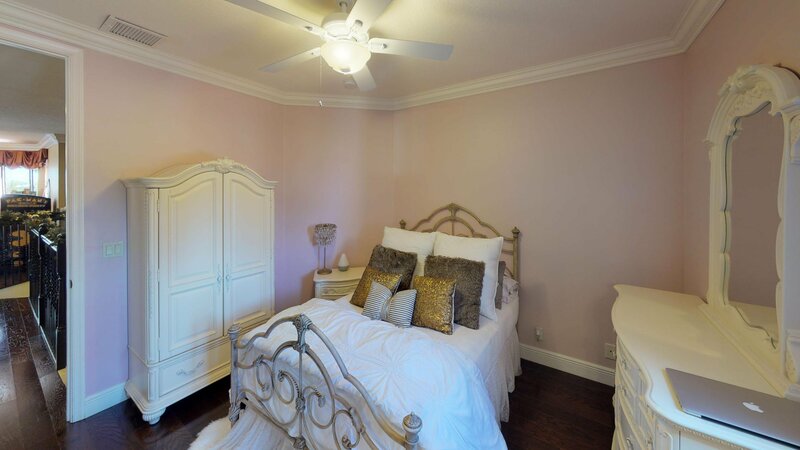 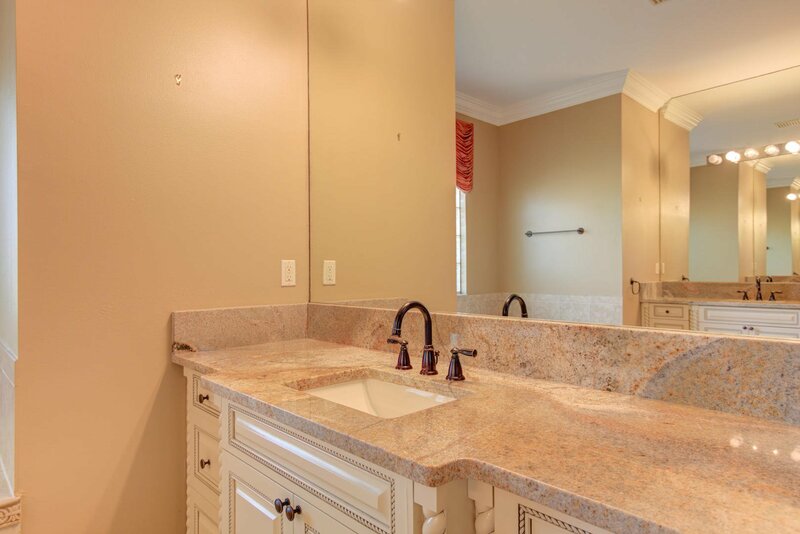 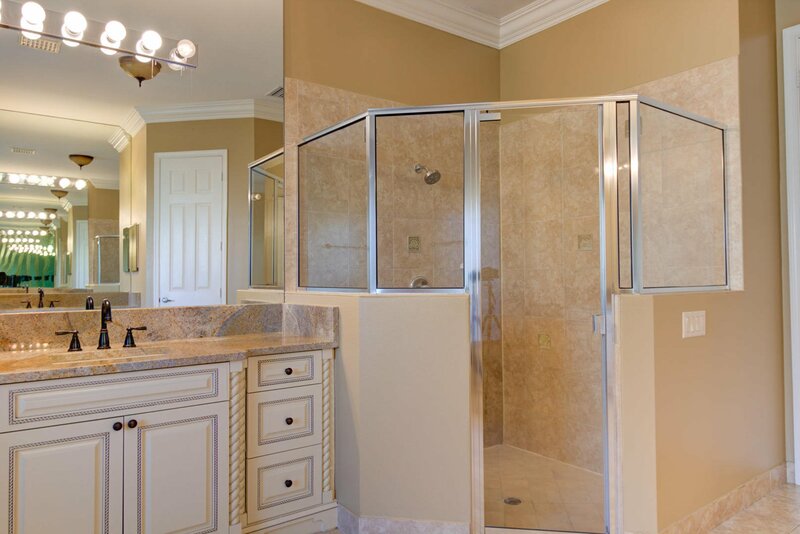 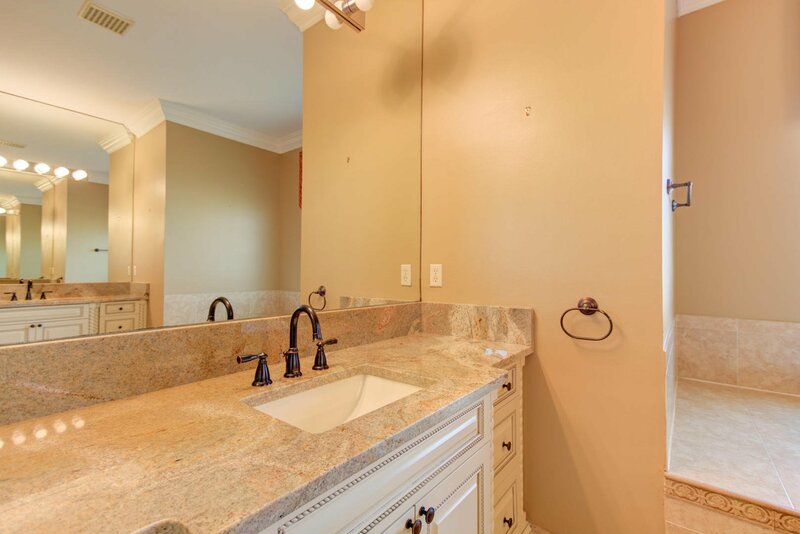 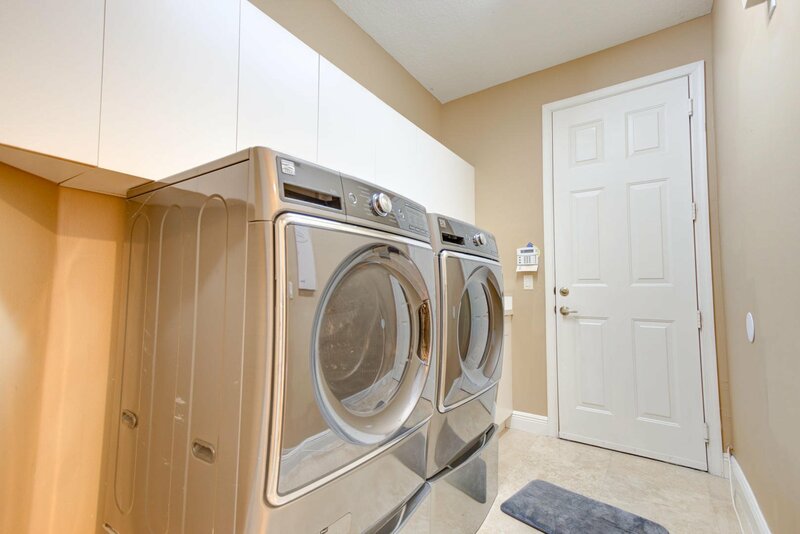 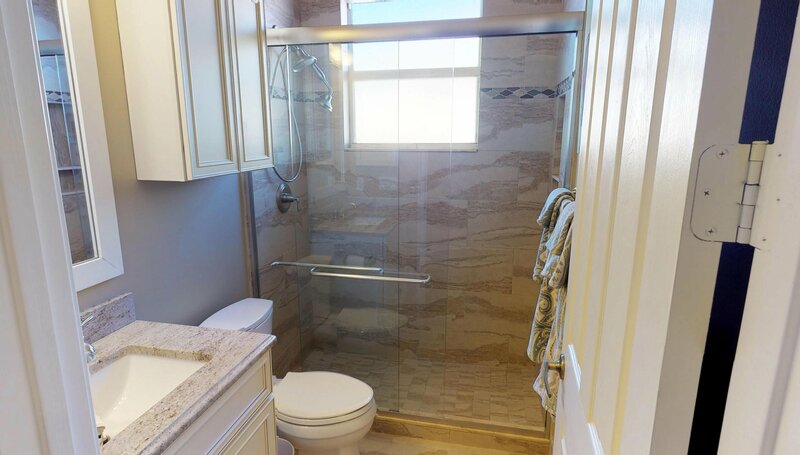 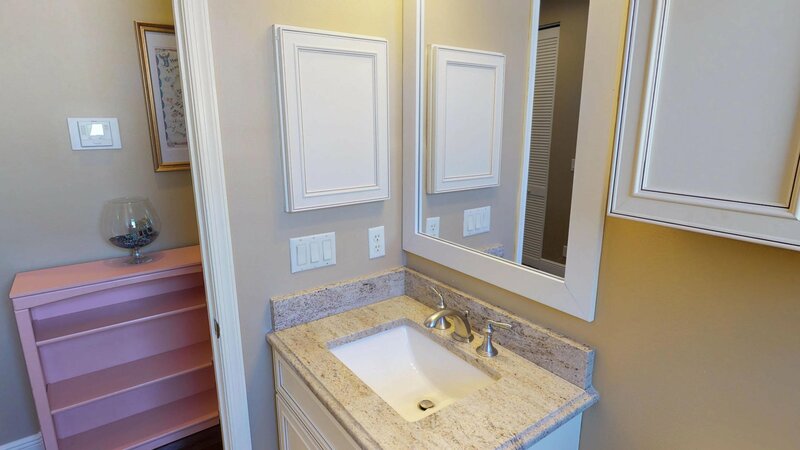 All bedrooms have built in closet shelving and all bathrooms are updated. 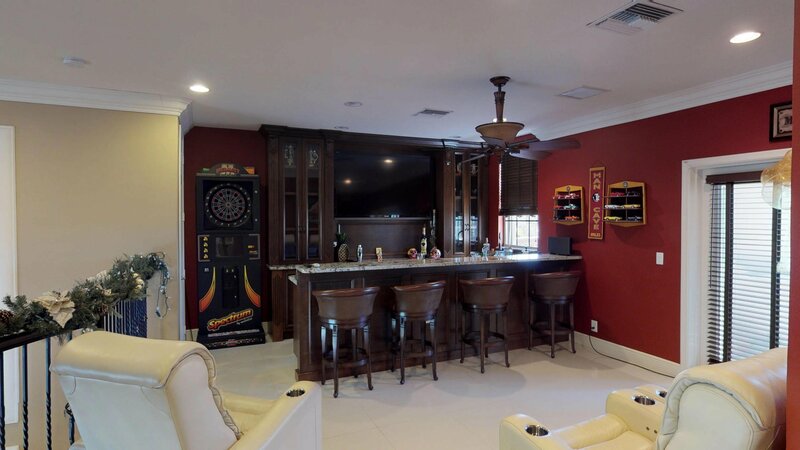 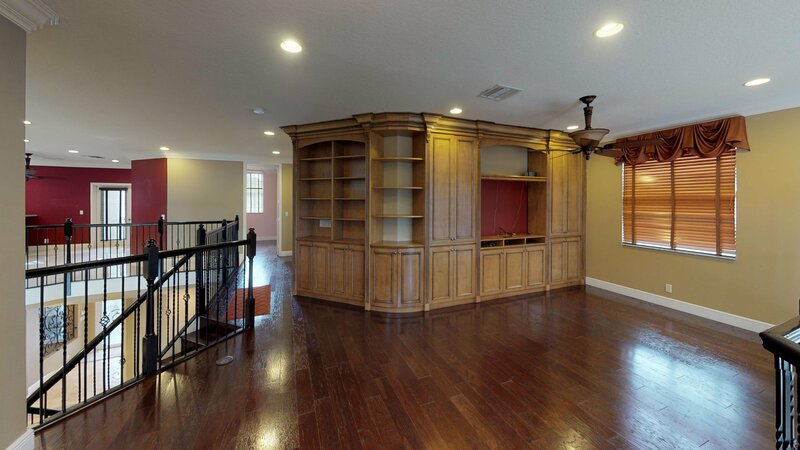 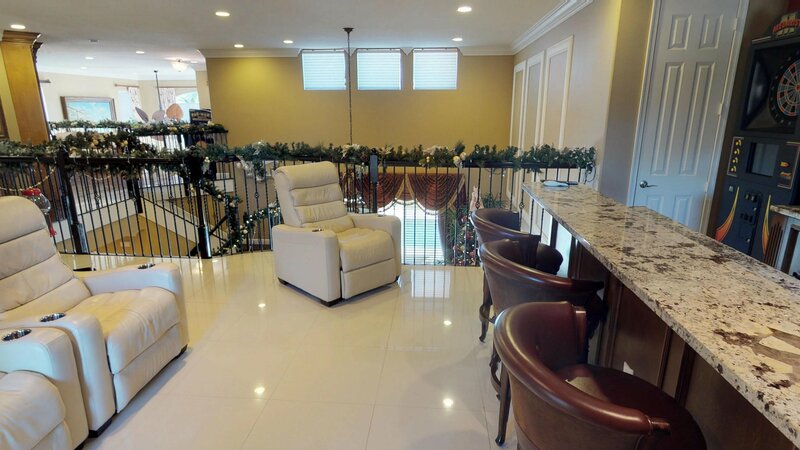 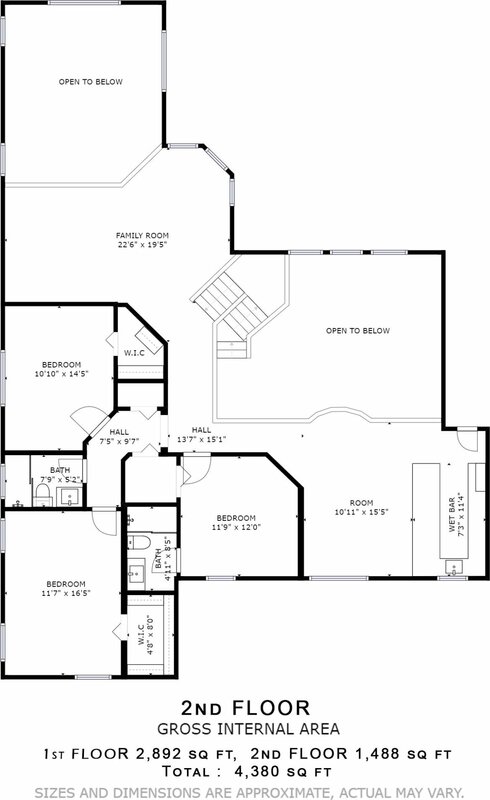 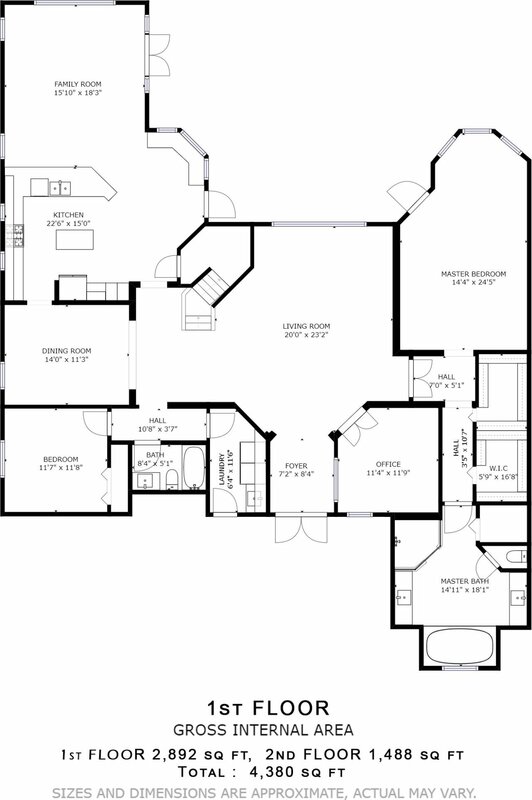 Upstairs offers a family room and man-cave both with built in wall units. 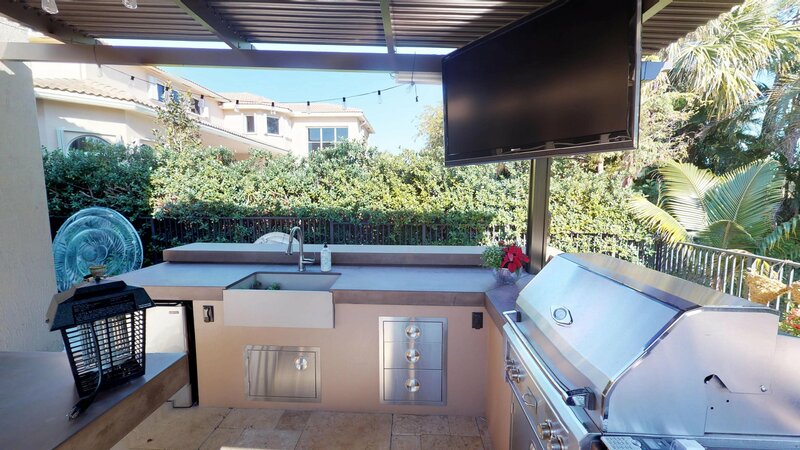 The man-cave has a balcony with eating ledge and enough room for a bistro table. 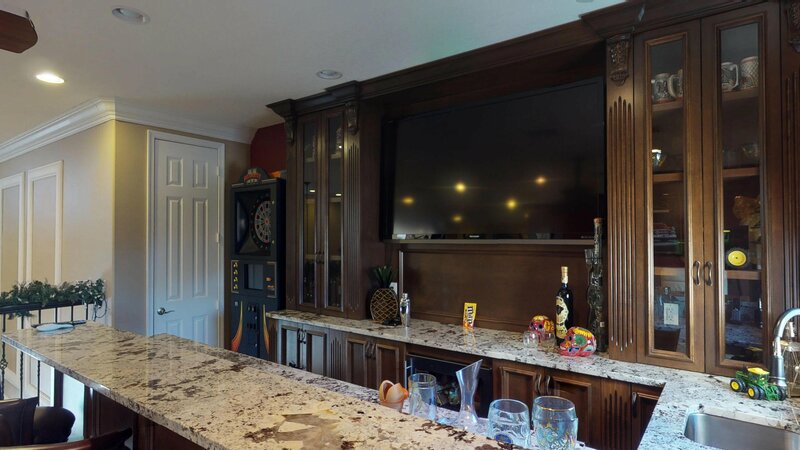 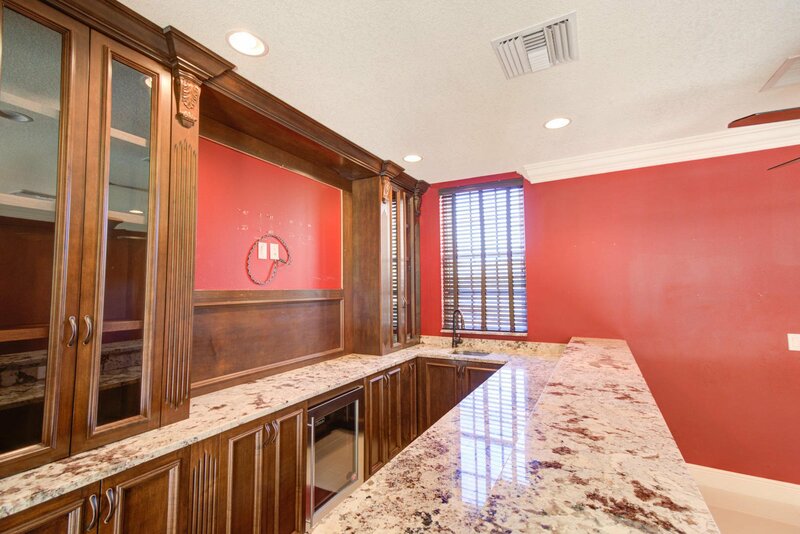 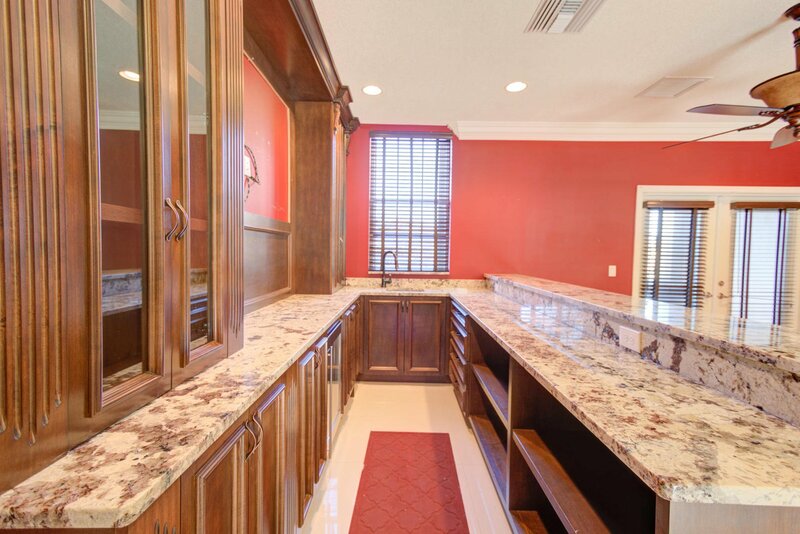 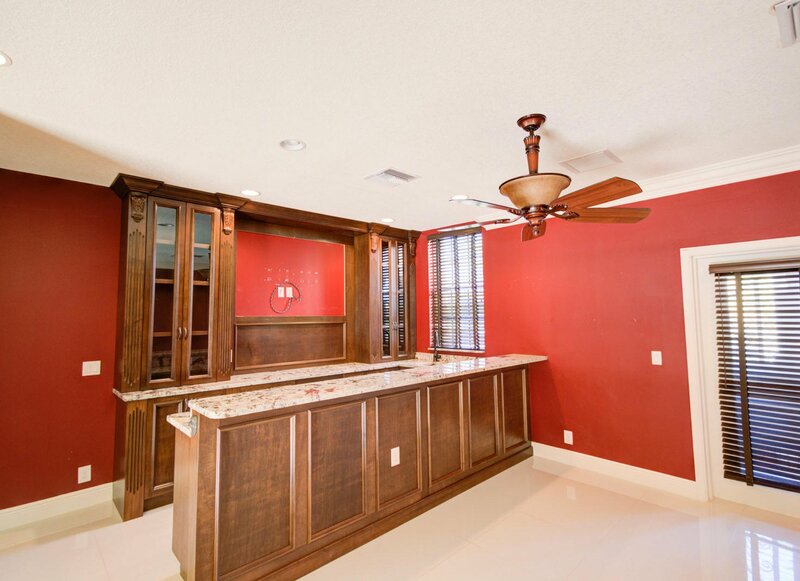 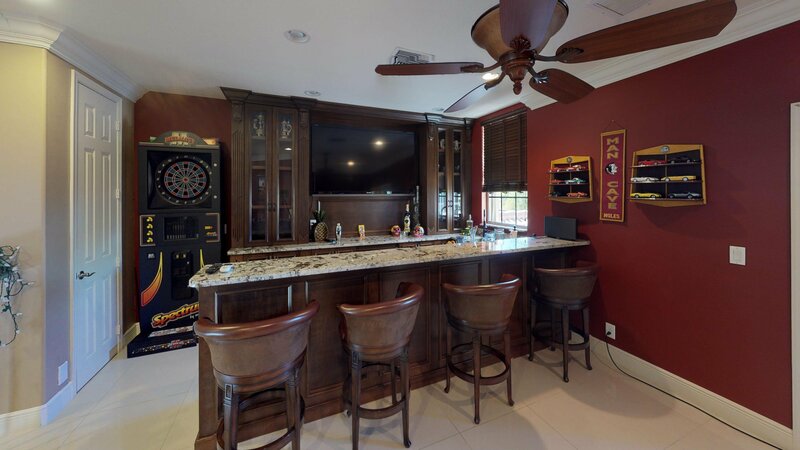 The bar area has a Perlick refrigerator and plumed sink and large storage area for drinks and snacks. 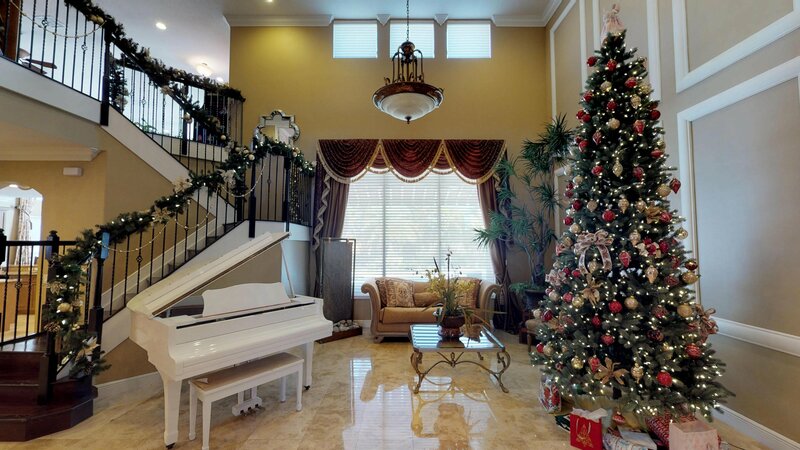 Much Much More. 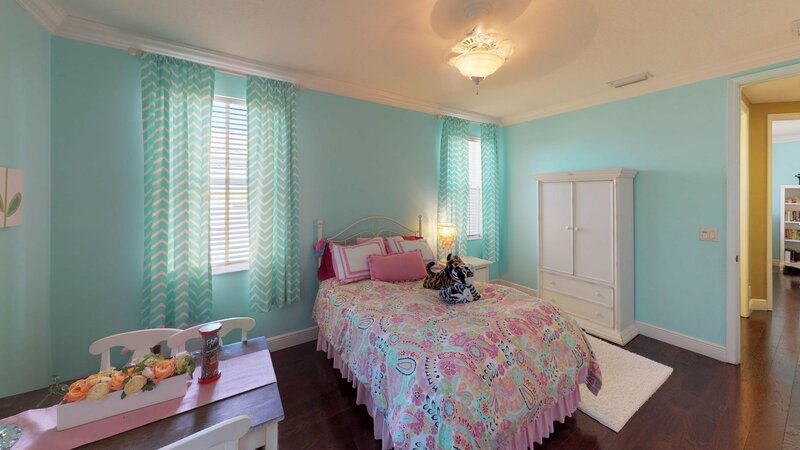 Listing courtesy of Bowen Realty, Inc./Wellington.